The Llanwddyn newsletter is kindly produced by volunteers on behalf of Llanwddyn Community Centre for Llanwddyn community. The community centres web site is at present under development. Until the site is on line, copies of the newsletter are readable via this page. Thereafter, on visiting this page, you will be directed through to the new official site when its up and running. 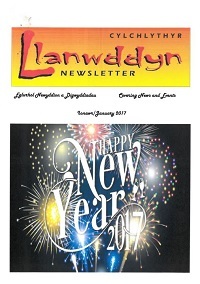 The Llanwddyn Newsletters are produced every month and are readable by clicking on the thumbnails below.